Top row, from left: Bacchus close concentric paperweight; Scrambled paperweight; Baccarat close pack paperweight. Middle row, from left: Baccarat close pack paperweight; Baccarat paperweight, 1976; St. Louis white carpet ground paperweight. 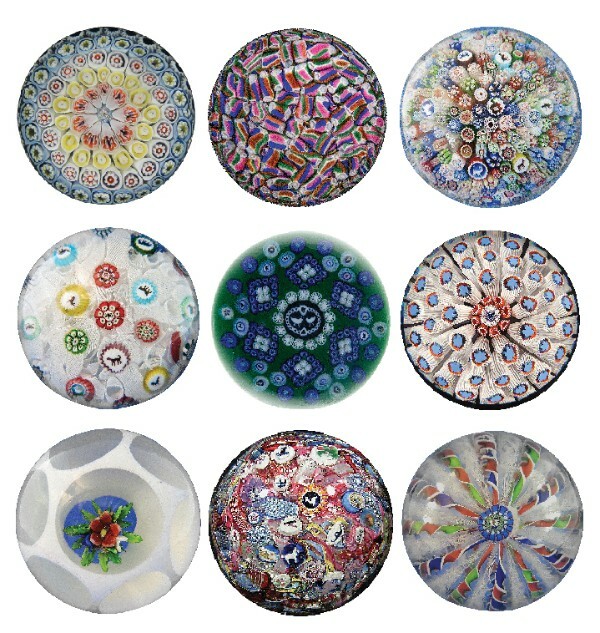 Bottom row, from left: Saint Louis White Overlay paperweight; Bigaglia scrambled paperweight; Saint Louis four-color crown antique.